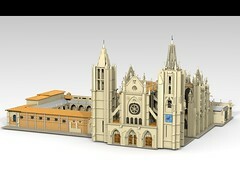 Spanish AFOL Aitoruco designed this incredible rendition of the León Cathedral in LDD. 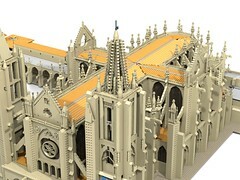 At over 38,000 pieces, he doesn't have the resources to build it in the brick, but members of the Asociación cultural de aficionados a construcciones LEGO de España, or ALE! 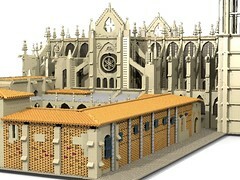 might build it as a collaborative project for a future event. Here's hoping they do. Whoah! that must have took a long time to build! Whoa, indeed! This is massive. 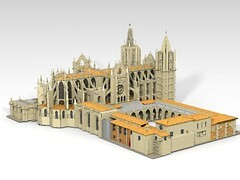 Here’s to hoping that they follow through on combined efforts and make this into a real thing, not just LDD.